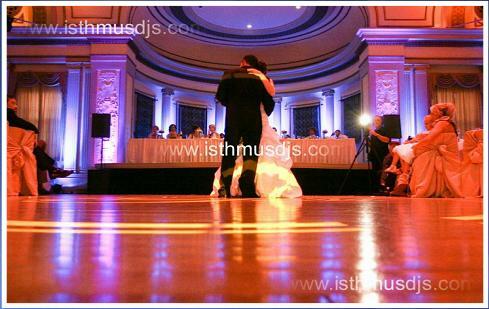 Madison Wedding DJ,Madison DJs,Best DJ Madison WI | Isthmus DJs Wedding Disc jockeys serving Madison to Wisconsin Dells and on to Milwaukee, WI,photo booth rental,bar mitzvah entertainment,dj for party,wedding DJ. © Isthmus DJs, LLC. All rights reserved. "Truly amazing! It was enjoyed by all!" -- Brian B. "Perfect!" --Thomas & Sarah K.
"Thanks again for everything. The music and lighting were amazing!" -- Maima & Tyre F.
Professional DJ Entertainment For Life's Celebrations! Welcome to our website where customer satisfaction is our #1 priority! We provide DJ services in Madison WI. Our disc jockeys specialize in weddings, Bar & Bat Mitzvahs, and school dances. Best wedding DJs in Madison. 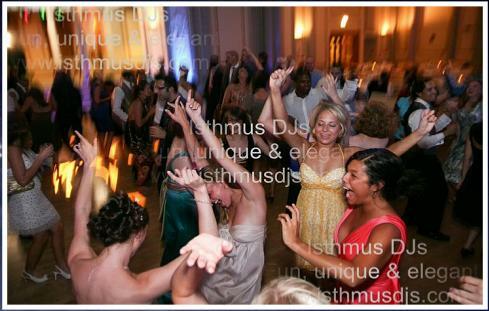 Based in Madison, WI, Isthmus DJs have been providing DJ services for weddings and various types of parties in Wisconsin since 1989. Our philosophy from the beginning was to provide the best service and music and to make every event unique and special for each client. We are proud that we continue on with that tradition today. The bottom line is we have the experience and talent you need to create the fun and special celebration that you have envisioned! Our DJs are professional, hard-working, highly skilled, mature and very experienced. We are committed to working with you and providing you with top quality music, lights, sound, and customer service. Through careful and thoughtful planning with you, we assure you that we will help make your special event a fun and successful one! After all, our #1 priority is your satisfaction. Planning an event? Contact us today. Let us help you customize and create the special event that you have envisioned. We can create an elegant or club-like atmosphere or just about anything in between. No matter what the occasion, you can rest assured that you are in good hands with us. From Madison to Wisconsin Dells and on to Milwaukee, Isthmus DJs is the preferred choice!